Images have been released of Alan Morrison in a McColl's store in Buckie. CCTV images have been released in an attempt to trace a Moray man who has not been seen since Christmas Eve. Alan Morrison, from Buckie, was reported missing by his family last week after concerns began to grow for his welfare. 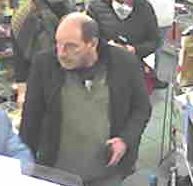 Now police have released images of the 47-year-old in the town’s McColl’s store at St Andrew’s Square from the day he was last seen. Investigators have this week been searching the area near the man’s Lawson Place home, as well as the Burn of Buckie and coastline. 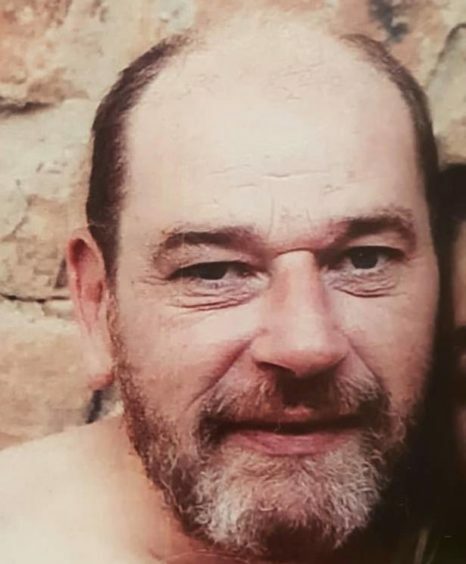 Police divers have joined efforts to trace Mr Morrison with sniffer dogs and a search helicopter also being used in the operation. Officers hope releasing images of the man will trigger memories from people who saw him either the day he disappeared or since. Detective Inspector Norman Stevenson has encouraged Buckie residents to check their gardens, sheds and outbuildings to see if Mr Morrison has taken shelter. He said: “It is concerning for anyone to be missing for such a long period but even more so in this case given that he wasn’t in touch with any of his family or friends from Christmas Day onwards. “We know a couple of routes that he might normally take including from his home heading west towards the cemetery and another down to the coast towards Buckie Harbour. “I also appeal to Alan directly to please get in touch with your family, a friend or the police to let us know you are safe and well. Your family is extremely anxious to hear from you. Mr Morrison is about 5ft 9ins and has short dark and grey receding hair with a beard. He is known to be a heavy smoker and is believed to be wearing a navy padded jacket, a long-sleeved dark T-shirt and dark Adidas trainers. He could also be wearing a beanie hat and gloves.